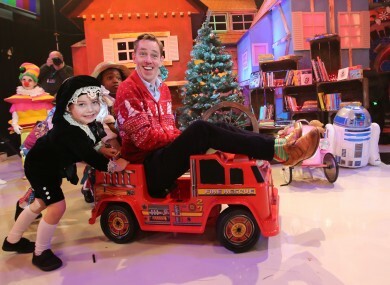 THE LATE LATE Toy Show was the most-watched television programme in Ireland last year. Over 1.5 million people tuned in to watch Ryan Tubridy ask children their opinions on the year’s Christmas toys at the start of December. 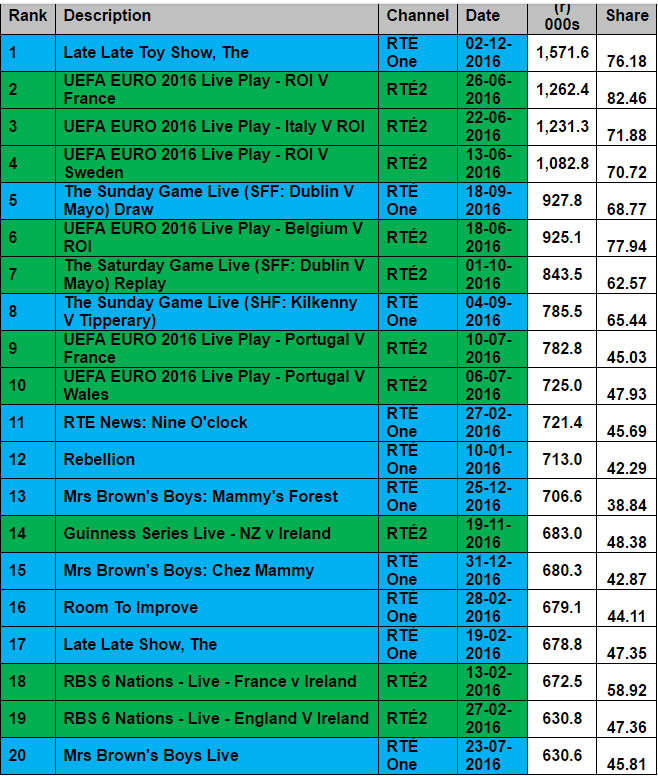 The show was the only non-sporting event in the top ten, with Ireland’s Euro 2016 games against France, Italy and Sweden the next most-watched programmes and the drawn All-Ireland football final between Dublin and Mayo rounding out the top five. The replayed football final and All-Ireland hurling final between Kilkenny and Tipperary and three other Euro 2016 games – Ireland v Belgium, Wales v Portugal and the final between France and Portugal – were in the top ten. Three Ireland rugby games – against New Zealand, France and England – made the top 20, as did three episodes of Mrs Brown’s Boys. A broadcast of the Nine O’Clock News two days after the general election, a Late Late Show discussing gangland crime, Rebellion and Room to Improve were also in the top 20. Email “The Toy Show, Mrs Brown's Boys and football were Ireland's most-watched TV shows last year”. Feedback on “The Toy Show, Mrs Brown's Boys and football were Ireland's most-watched TV shows last year”.